Can We Finance Sustainable Development? The Millennium Development Goals (MDGs) have been the most comprehensive international poverty alleviation movement in history. Since 1990, extreme poverty has been cut by half; 17,000 fewer children die each day; and 2.3 billion people gained access to clean drinking water. A multi-stakeholder coalition of governments, international organizations, and civil society groups have tackled crucial issues ranging from education to improved sanitation to gender equality. And yet, the challenge of empowering hundreds of millions more to gain access to proper healthcare, sanitary facilities, and education is enormous. As more countries have attained middle-income status, inequality has soared. The wealthiest individuals have become wealthier while growth-with-equity remains a distant prospect. This week, the global development community will congregate in Addis Ababa to decide how to finance the next fifteen years of inclusive growth and the elimination of poverty. The positive news is that Member States have painstakingly created a set of Sustainable Development Goals (SDGs), a comprehensive post-2015 plan that will strike at the heart of global poverty, and set the poorest nations and communities on the path towards equitable and long-lasting growth. While the goals seek to augment, broaden, and expand upon the wide-ranging successes of the MDGs, the sobering fact is that the conventional model for financing development is in need of a massive overhaul. Traditional channels of overseas development assistance (ODA) from developed nations to the developing world are not only insufficient for financing the ambitious post-2015 agenda, but it's clear that development as we know it is no longer relevant, nor desirable. No longer relevant, because the world has changed and the expertise that will drive post-2015 growth is being cultivated in-country by capitalizing on local solutions. And no longer desirable, because much of the development assistance has been self-serving and ineffectively utilized in the first place. The system is broken and it is time to redo development, building from the ground up. This week's conference on how to finance development is therefore a seminal turning point for how we will solve some of the most intractable development challenges of the day. A turning point because there is recognition from donor countries that they need to be more effective in selecting funding priorities and disbursing ODA. And a turning point in that the developing countries are realizing that the solution lies at their fingertips. Developing countries harbour a technical knowledge base within their borders - the expertise, innovations, and solutions necessary for inclusive growth are home-grown and just waiting to be tapped. Increasingly, innovative citizens are creatively devising south-south, country-to-country delivery models for development. Channelled effectively, this has the potential to finance the vast majority of sustainable growth in the developing world. This is a radical departure from the traditional paradigm of massive donor-funded agencies issuing a loan, which often takes three years to develop, 100 staff to implement, and then is neither tracked nor delivered. Donor funds can now form a much smaller portion of the resources required to solve the development challenges in the global South. The question for governments that continue to provide official ODA is therefore how best to apply funds that can leverage these different sources of domestic capital? 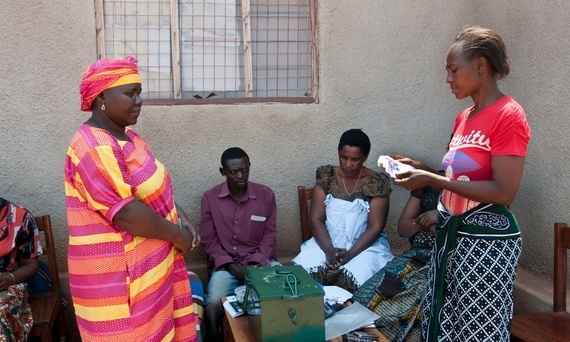 One of the answers lies in innovative financing methods for development. Global multi-stakeholder partnerships have proven successful in the field of health, including the Global Fund to Fight AIDS, Tuberculosis and Malaria, the Global Sanitation Fund (GSF), and the Vaccine Alliance (GAVI). All of these funds use ODA efficiently by leveraging community savings, public investment and private capital, therefore putting into action the principles behind the SDGs. The GSF, a fund administered by my organization, the UNOPS-hosted Water Supply and Sanitation Collaborative Council (WSSCC), invests in behavior change activities that enable large numbers of people in developing countries to improve their sanitation and adopt good hygiene practices. The only global fund solely dedicated to sanitation and hygiene, the GSF is light of foot and heavy on scale. Households and local governments work with local entrepreneurs and a network of hundreds of partners. Together, they create the conditions for tens of millions of people to live in open defecation free environments and access adequate toilets and handwashing facilities. Importantly, individual household investments in sanitation mobilized by GSF programming currently amount to four times the value of its funding. 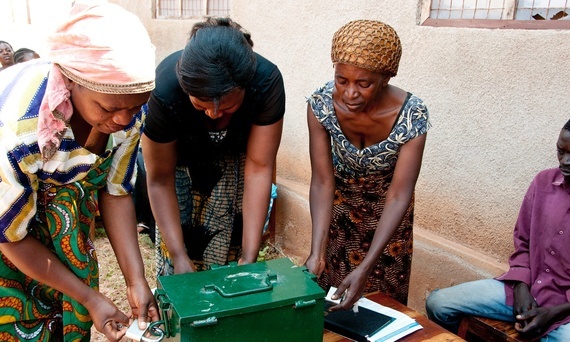 A grant of $5 million can therefore yield $20 million in community savings per country. The most powerful by-product of this investment then materializes in the form of public capital, once governments realize the commitment that their people have made. Private sector engagement is yet another positive outcome, as demand for products and services is generated through the behavior change of society. This is the exact model that the development world is seeking -community-based solutions that are government supported and commercially operated. This week in Addis, let's end the complacency in business-as-usual development. This is a wake-up call that a fundamental shift is taking place in how to finance development. Gone are the days of large country offices and mega-programming that has shown a dearth of results. The answer lies in home-grown solutions that can demonstrate scale. In fifteen years when the Sustainable Development Goals are evaluated, let's be sure that we harnessed the collective wisdom of the people that matter most. Chris W. Williams is the Executive Director of the Water Supply & Sanitation Collaborative Council, the UN's only body devoted to the sanitation and hygiene needs of vulnerable and marginalized people around the world.